Comments Off on Jordan: The need for "Realpolitik"
It has become clear lately that Jordanian-Israeli relations are not in the best shape. Several recent incidents and crises have demonstrated a lack of mutual coordination or understanding in bilateral relations. Incidents such as the recent shooting of a worker inside the Israeli embassy, before that the killing of a Jordanian judge on the border, as well as disputes around the Jordanian position in opposition to Israel at UNESCO regarding Jerusalem suggest issues in communication and coordination between the two countries. There has also been some strong disagreement regarding the new Ramon Airport in Eliat, right on the shared border at Aqaba. 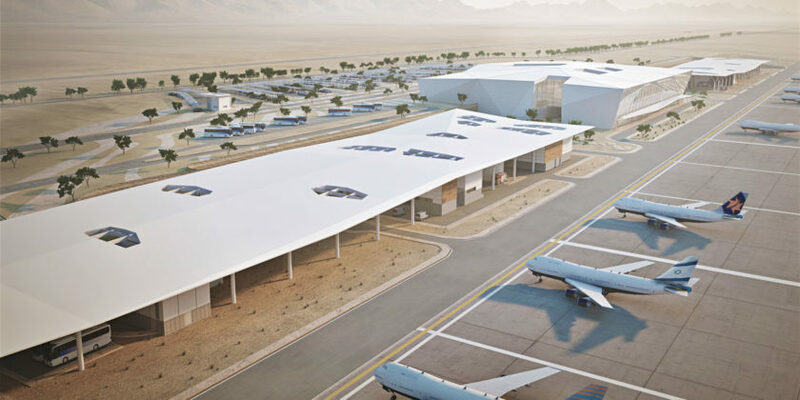 The Jordanian authorities view this airport as a violation of the international standards regarding respect for the sovereignty of airspace and territory of Jordan. However, there is also a political angle to this as Israeli Prime Minister Benjamin Netanyahu highlighting that the airport will boost Israeli tourism and serve as an emergency alternative to Tel Aviv’s Ben-Gurion airport, at the opening ceremony of Ramon Airport. Interestingly, the 1994 peace agreement between the two countries included an agreement to shift operations from Eliat to Aqaba airport and for it to be renamed Aqaba-Eliat Peace International Airport. This part of the agreement was never achieved, and Israel has since acted independently to turn the Ramon Airport at Eliat into a regional Hub specifically for the movement of tourists into the cities around the Red Sea, including Egyptian resorts such as Taba and Sharm El Sheikh. While the peace agreement and security coordination between the two countries continues, the airport signals tension on both sides. Jordan must ensure that such a key peace deal guarantees its strategic interests. Meanwhile, there has been increasing criticism in Israel of Jordan, its policies and its recent media statements, which some consider to be anti-Israeli propaganda, which is not considered to be acceptable from an ally. There is also a perception of growing anti-Israeli sentiment amongst Jordanians. Regardless of what is driving the deteriorating relations, it is important for Jordan to reshape it is strategy on how to deal with these challenges. Politically, the peace agreement with Israel should more comprehensively protect Jordan’s strategic interests. Similarly, Jordan needs to focus on restoring its economy which requires cross-border cooperation. Therefore, If Jordan is to maintain the peace treaty with Israel, political understanding, mutual interests and Jordan’s national security should be at the top of the mutual agenda. There is no doubt that after 25 years of having a peace treaty between Jordan and Israel things are not going well. Normalization of relations does not appear to be popular on either side despite Israel engaging positively with other Arab countries which could lead to new peace treaties and therefore new opportunities for economic and other closer ties, at Jordan’s expense. Jordan’s approach to this and other bilateral relations cannot be based on emotion or ideology, but rather must be based on the geopolitical situation it finds itself in and the realpolitik that is dominating the region and the rest of the world.